I recently bought a Telstra NEXTG compatible HTC Desire Android smartphone and did a video review of it for online retailer Mobicity. Since I’ve tested a lot of Android phones as a journalist I know how to tweak them to add extra features which aren’t enabled out of the box. 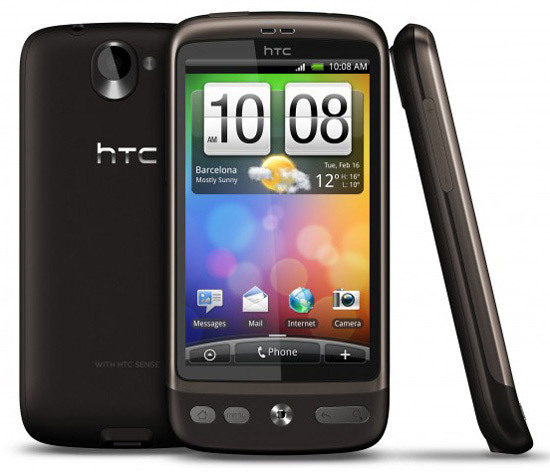 I’ve listed the best tweaks here for you to enable on your own HTC Desire. Excerpt from my iTnews preview article: the HTC Desire sports the new Android 2.1 operating system, a snappy 1 GHz Snapdragon processor, 3.7 inch WVGA (800×480) display and phone body which has a similar shape and weight/shape to Google’s Nexus One Android phone, also built by Taiwanese manufacturer HTC. The HTC Desire improves on Google’s Nexus One in three key ways. First, the choice of an optical trackpad instead of a mechanical trackball is a good move. Second, the Desire offers physical menu keys that offer tactile feedback which is lacking in the Nexus One because of it’s touchscreen keys, and third – HTC’s Sense interface – which offers a richer user experience than standard Android. Difficulty: Easy. Issues: Pressing the camera icon in the Cooliris 3D photo gallery might crash the application. Download the Google Earth for Android application and install using the ASTRO file manager. Difficulty: Easy. Issues: Use via a WiFi connection as Google Earth can download a lot of data. Add Turn by Turn GPS Navigation functionality to Google Maps. Difficulty: Medium. Issues: Not as fully functional as the official Turn by Turn GPS available in the UK and USA. If you find the startup sound when turning the HTC Desire on annoying install the Silent Boot application which mutes your HTC Desire on shutdown to keep it silent on boot and restores previous volume settings after startup. Make sure you don’t accidentally call people by mistake when navigating your list of contacts with the Call Confirm application. Easily access the files on your phone’s microSD card with the ASTRO file manager application. If you like to read eBooks in the ePub format I suggest trying the Aldiko eBook reader application. If you’re annoyed by the inbuilt Telstra website shortcuts which clutter the Application menu you can get full admininstrative access over the phone by wiping it and replacing the Telstra HTC Desire software with generic HTC Desire software. Note that doing so is not recommended unless you know what firmware upgrade and bricking phone mean. Ok, i am now using Motorola, too bad, i wanna change it to HTC……. Now a days open source programs are getting more popularity. As android os is open source and users are able to create a customizable device I am sure it will gain more popularity in the coming future. OMG, how damn slow and laggy is your fone??? I got HTC Desire too…. it’s so much faster than this one. A good tip is to install the Dolphin Web Browser – this is far better than the default provided with multiple tabs and gesture shortcuts.